Taipei Taiwan (Sep 1, 2018) –Plustek has a long-term experience and cultivation in the imaging processing field, dedicated manufacture the product with high-class quality and performance which can solve customer's difficulty. Furthermore, Plustek separates each product line by different aspects and objectives; the strategy tends to provide the customer solution and service. Under the cradle of providing the solution to customers, SmartOffice PS3180U is featuring the high speed along with the needs of automatic document feeding and ultrasonic multi-feeding detection. The PS3180U targeted at the large office users and government agency. The most powerful part of the scanner is the high scanning speed. The SmartOffice PS3180U is an ideal choice for enterprise who have a demanding workload and limited budget. The advanced image processing and high daily duty cycle all add up to the perfect departmental scanning solution for document management, content management and forms processing applications. In fact, Plustek offers the new technology which allows users scan with mix size document without any concerns. The result image/file will contain complete information, it solve the risk of traditional mix-paper scanning, i.e the incomplete image and data. In addition to this, Plustek offers user a smooth scanning experience from scan to search, our image process capability allow users to do advanced configuration and clear image, even just leave the information you need. Secondly, the scanned image can be saved to selected destination, sent via Email and opened with chosen application. Finally, the bundled software included the ABBYY FineReader Sprint, which users can OCR (Optical Character Recognition) their document; convert the document into editable and searchable. 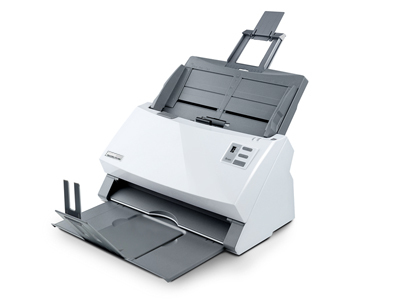 To summarize, the SmartOffice PS3180U offers fully function and practical solution for large enterprise and the user who need to scan different size of papers in one batch at once. Intelligent miss-feed function: Prevents multi-feeds by checking the thickness of documents and detecting overlapping pages with the built-in ultrasonic multi-feeds detection capability. Users will be warned when a multi-feed is detected. Support batch scanning: Make your work more efficiency and increase productivity; scan a batch of document at one time without additional action, the automatic document feeder capacity is 100 pages. Scan speed and outstanding resolution: With 80ppm/160ipm in both grayscale and b/w mode, the optical resolution is up to 600 dpi.